William Hill labels itself as “the home of mobile betting” – a bold claim to make. 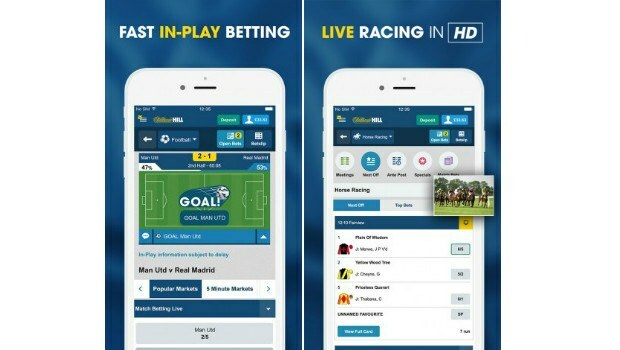 Its mobile app is one of the most popular betting apps on the market, though it must be said that when it comes to in-play betting, William Hill is not quite up to the standard of some of its main competitors. The homepage displays all current live events, but there is no schedule of upcoming events as on other sites, while the extensive live streaming programme that can be found on the desktop version is limited on the mobile site. It does allow players to cash out (or cash in, as they call it), however, and the app is available across all the main mobile operating systems. 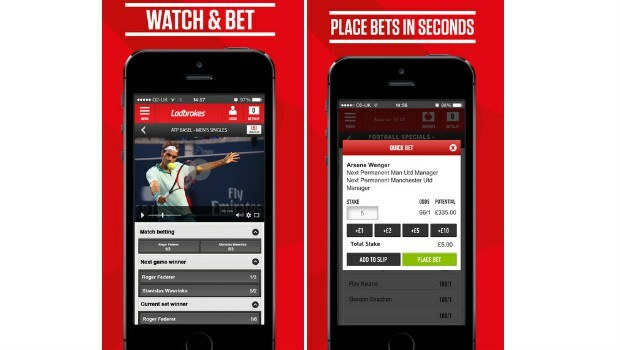 The Ladbrokes mobile app is certainly one of the best out there, with a solid design coupled with the company’s trademark red branding. The content is pretty good too, and it's easy for users to find the events that they're looking for thanks to the excellent design. Ladbrokes also offers some of the best odds on this list. 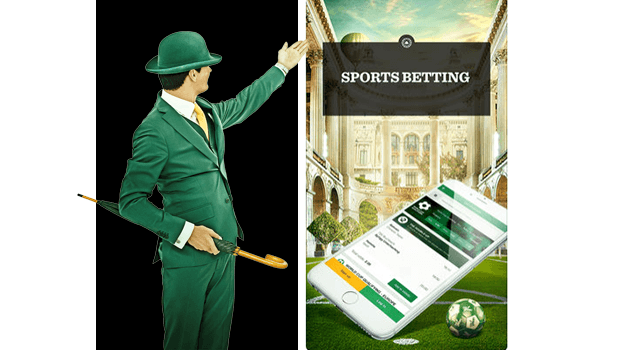 Choice of betting markets is where the Mr Green mobile app excels when it comes to live betting. Name a sporting event happening somewhere in the world and it will probably be available at Mr Green. The same extensive range of sports that can be found on the main desktop website. If you choose to visit Mr Green and download the app, Mr Green will reward you with a stellar New Player Bonus. Utilising a generous promotion like the one from Mr Green can help in-play punters truly maximize their winnings! Check out Mr Green now to receive an awesome New Player Bonus! 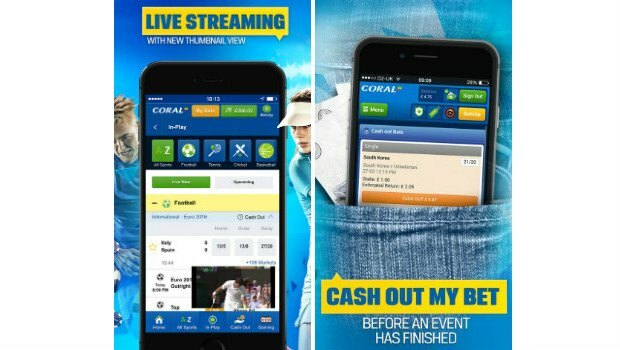 In-play betting features prominently on the Coral mobile app, offering thousands of markets across a wide range of sporting events all over the world. The Coral app also features live horse racing streaming from all major races in the UK and Ireland, as well as daily enhanced prices that are exclusive to the mobile app. Mobile players can manage their Coral account through the app and can also cash out on selected markets. The app is available on Android, Apple and Blackberry devices. Since gambling apps are not permitted in the Google Play store, there is a page on the desktop website where players can enter their phone number or email address and have the download link sent to them. 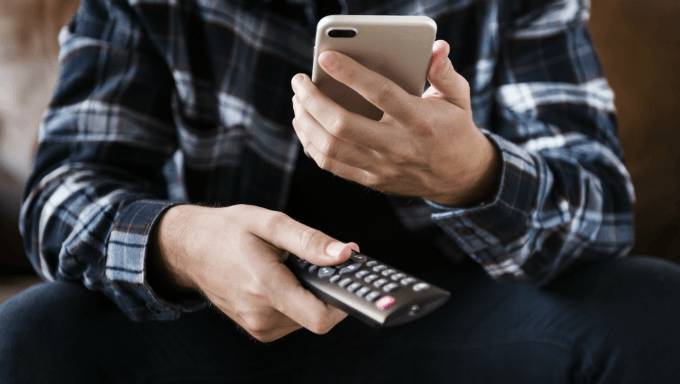 Unibet may not be as much of a household name as the others in this list but its mobile app is up there with the best, offering a large range of in-play markets. The focus is on football, but players can also bet on tennis, golf, rugby and other live events. Sign up with Unibet now to avail of a sweet bonus you can use in-app! Unibet tops our list because of it’s large range of in-play markets. 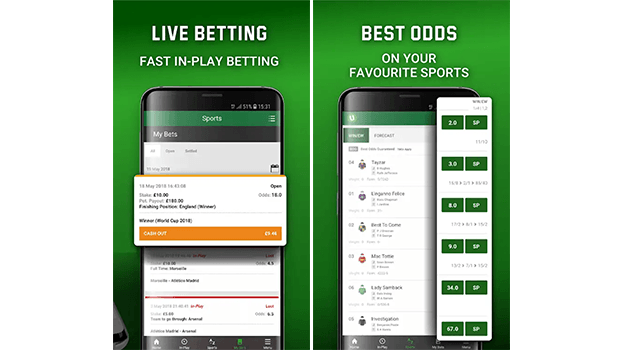 If you’re looking for an betting app that has it all - great design, fast speed and top odds, then this is the one for you. *Editor's Note* | All the apps in this list are free to download. Remember to keep them updated to get the latest features and highest level of security.